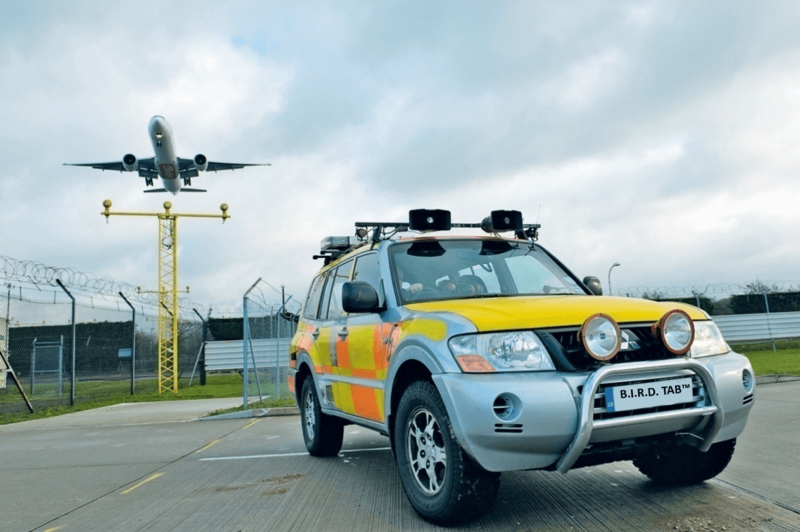 Designed in conjunction with feedback from four UK international airports, Scarecrow’s O.A.R. 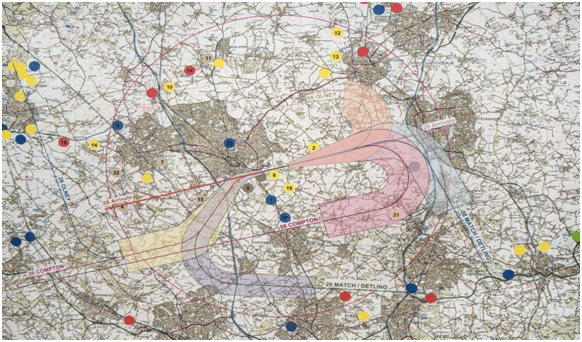 (Off Aerodrome Reporting) is a software system that is a highly effective data logging and analysis system, specifically designed for those sites that have been identified by an airport as potentially carrying a risk to flight safety by virtue of their proximity to the airport or flight path, combined with the bird life present at those sites. Scarecrow’s O.A.R. software system is easy to use. The tablet displays pre-configured information for speed of recording, whilst retaining the flexibility to cope with anything new observed. The availability of on screen charts providing historic statistics per specie provides instant trend analysis enabling “on the spot” decisions to be made as to whether further action is required in the light of a possible increasing risk. Using a rugged tablet touch-screen pc, a built in GPS receiver and data collection software, Scarecrow’s O.A.R. software system creates a complete record of activity and wildlife observations made. The system creates an audit trail featuring date, time, location, operator, species, flock size, attractant, dispersal direction, and any other key points to note. USB flash-drives are provided for captured data to be transferred to the airport analysis system. There is also a Wi-Fi option for data transfer. Time saving features like a built in scheduling system makes planning easy to do; notification alerts also prompt when action may be required following a site visit. For those airports that also utilise the Scarecrow B.I.R.D. 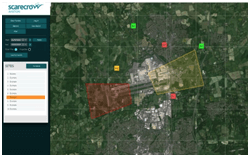 Tab™ System a link between software systems enables airports to see how what is being oberserved off aerodrome may be effecting what is being observed on aerodrome, giving a complete ‘due diligence’ position so that action can be planned accordingly to mitigate the risk of Bird Strike. The Scarecrow O.A.R. software makes recording what is observed off aerodrome quick and simple, and the subsequent detailed reporting and analysis that is available as a consequence of quality data, means airports should be well placed to better manage their risk in a much more efficient manner, and also well placed to display the highest standards of management against the continuing battle against Bird Strike risk. 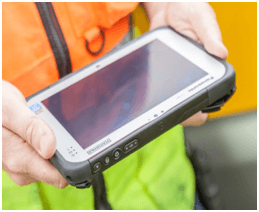 Standard Features: Handheld Tablet PC with pre-installed data logging software, Tablet Software, Reporting Software, and built-in GPS receiver. Controls: Touch-screen ‘rugged use’ tablet personal computer with a HD daylight readable 10 point multi touch and digitizer screen: 2-800 nit (also has “night mode” viewing option). Includes 3MP camera. 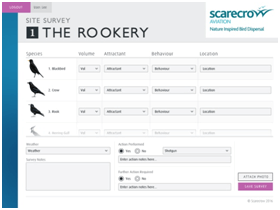 Report Generator: Site Survey Reports can be generated to highlight what has been observed per visit, and includes an immediate trend analysis per specie, together with a “site overview of bird volume to determine whether further action may be required. The system also has the flexibility of producing a wide range of bespoke reports Via an integrated filtering process enabling much wider analysis to help determine whether any particular site/specie is resulting in an increasing risk of bird strike at the aerodrome. Report Presentation: All reports can be printed in various formats, e.g. complete data table, simple line graphs, pie charts, bar charts, area charts etc. 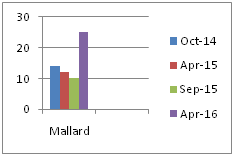 Full management reports are available containing this data together with map images. Photographic evidence taken with the tablet camera can be incorporated within Reports. Settings: Personalisation of the system is controlled and edited in the Reporting Software.